TOKYO, November 23, 2018 - Ricoh Company, Ltd. (hereafter “Ricoh) today announces that it has been named Company of the Year at the Ireland Japan Business Awards 2018. Hosted by the Ireland Japan Chamber of Commerce, the annual awards recognise the companies making outstanding contributions to Ireland-Japan business relations. Mr. Akira Oyama, Corporate Executive Vice President and General Manager of the Sales and Marketing Group, Ricoh, accepted the honour at an awards ceremony held in Tokyo last night from His Excellency Paul Kavanagh, Irish Ambassador to Japan. Judges were impressed by Ricoh's growth and investment in Ireland, as well as its commitment to the community, sustainability and charitable causes. Speaking at the awards ceremony, Mr. Oyama said: “This award reflects the wealth of symbiotic economic opportunity that lies in Irish-Japanese relations. Since the 1980s Ricoh Ireland has gone from strength to strength and as it grows, so too does the local team's impact on the Irish economy. We are consistently impressed with how the team there is extending the Ricoh ethos and values to benefit the greater community, too. The award follows significant investment from Ricoh in the Irish market. In February 2017, the company opened its new Irish HQ in Dublin on the back of a €6.5M investment. This is allowing Ricoh Ireland to more than double its workforce to 190 by 2020 and increase revenues to €32M in the same period. 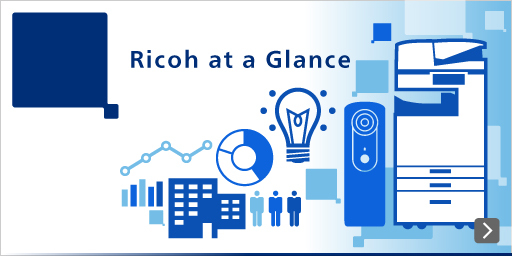 As it reinforces its economic position in Ireland, Ricoh continues to be a socially active and prominent member of the business community. It is certified with the Business Working Responsibly Mark, awarded by Business in the Community Ireland. The distinction underlines Ricoh's dedication to promoting CSR initiatives within its own business and throughout local communities. In the last year alone, the company has donated €175,000 worth of managed document services technology to Temple Street Children's Hospital and €30,000 worth of collaborative technologies to FoodCloud, the platform that allows businesses to donate unsold fresh food produce to local charities. Ricoh also works with Irish-based organisations to help them use technology to increase productivity and drive innovation. This year, Ricoh research, in collaboration with Oxford Economics, found that optimised offices could unlock €3.4BN for the Irish economy. By encouraging businesses to create an environment that embraces varied individual workstyles, Ricoh is helping Irish businesses maximise revenues and their company's contribution to the economy. Phil Keoghan, CEO, Ricoh Ireland & UK, said: “This is a tremendous honour for the team in Ricoh Ireland and is testament to the great work that they do not just for the company, but for the community around them. Mr. Paul Gilsenan, President, Ireland Japan Chamber of Commerce, said: “Despite their positions on the world map, Ireland and Japan have a long history of doing business together and these awards celebrate that. Companies like Ricoh show that distance is not a barrier to business. It perfectly demonstrates how enterprises in our two countries are working in harmony to benefit not just one another's economies, but the people living in them, too. Previous winners of the Ireland Japan Business Awards include Fujitsu Laboratories, SMBC, Takeda Pharmaceutical and Corvil.